Yu Kuwabara | Photo: Kenichi Sugimoto Yu Kuwabara is a Japanese composer living in Tokyo. She makes music to ask herself who she is. For several years, she has been researching and studying traditional Japanese arts and music to go as far back as possible to her origins and to confirm her own sense of being. She has collaborated with numerous artists who use traditional Japanese art forms, including Noh performers, a Rakugo performer, a Japanese Buddhist chant group and performers of traditional Japanese instruments. She completed her master’s degree at the Tokyo University of the Arts and has taken part in prestigious festivals, academy events and programs for composers, including the Schloss Solitude Summer Academy, implus, the International Summer Course for New Music Darmstadt, Voix nouvelles of the Royaumont Foundation, the Divertimento Ensemble International Workshop for Young Composers and the Lucerne Festival Academy Composer Seminar. Her work has been performed by the Tokyo Philharmonic Orchestra, Ensemble SurPlus, Ensemble Phorminx, Ensemble Mise-en, Ensemble Talea, Divertimento Ensemble, the Lucerne Festival Alumni, Stefan Hussong, Camilla Hoitenga, Claire Chase, and others musicians at major venues in Asia, Europe and the United States. She was Creator-in-Residence at Tokyo Wonder Site Aoyama. Her scores are published by Edition Wunn, Germany. Photo: Yu Kuwabara I make music to ask myself who I am. For several years I’ve been researching traditional Japanese music, art and thought to go as far back as possible to my origins and to confirm my own sense of being. And I’ve been collaborating with numerous artists who use Japanese art forms. 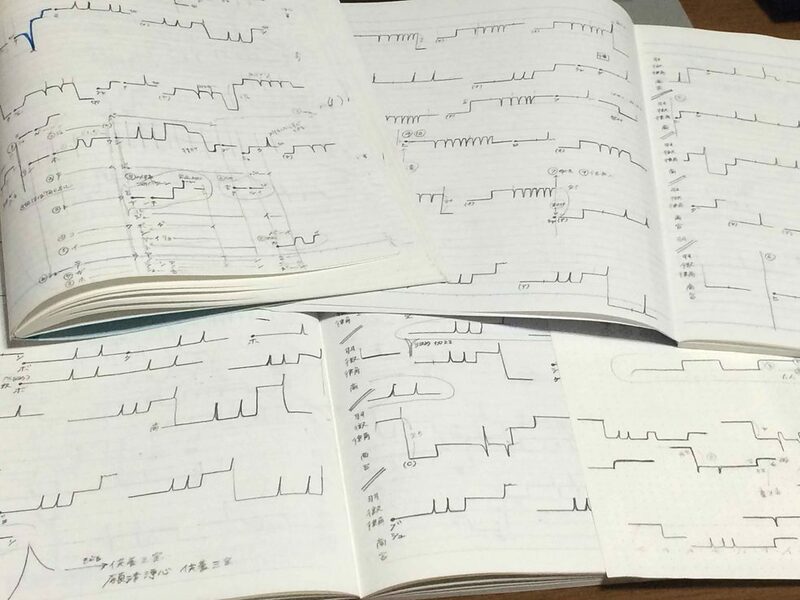 In my compositions I’ve been investigating my own musical language between the past and the present, and also between Japan and the rest of the world. I’m always thinking about and pursuing the essence and nature of Japanese music. I haven't found a definite answer yet. But through these research experiences and collaborations with traditional Japanese musicians, I’ve found out that sound is something like energy and has the capacity of being able both to bend and to stretch, to expand and to shrink. My sense is that traditional Japanese music is formed by degrees and gradations of tension inherent in sound itself. So this piece, Six Voices, is an experiment in composition by controlling the degrees and gradations of tension in the energy of sound.